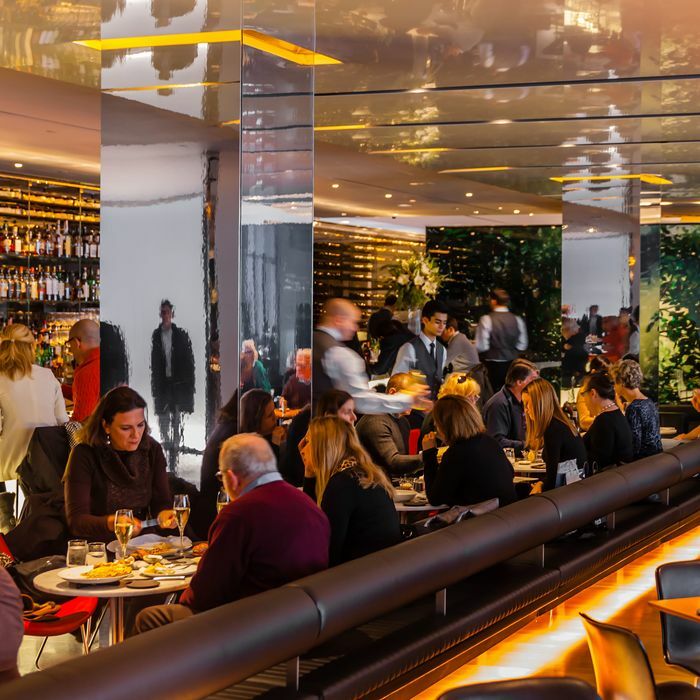 As of yesterday, right on Danny Meyer’s schedule, tips at the Modern became a thing of the past. New menus have higher prices and now include the line “Please note that our prices are all-inclusive” — and receipts, which don’t even carry a tip line, remind diners they’ve just finished a meal at a “no-tipping restaurant.” Little room is left for confusion, in other words, but habits die hard, as the first set of customers seems to have demonstrated: The Post set up shop near (or, hopefully, outside) the restaurant to see how well people followed instructions, and for many, the answer was not very well at all. “We left a [$20] tip,” one couple said. “We forced her. We left it and ran. [The server] was very polite and did not want to accept it, but we felt she had made such beautiful wine choices and she needed to be rewarded for her extra effort.” Another well-meaning second-guesser told the paper he’s “a little opposed because I don’t really know what’s going into the hands of the staff,” so he left an extra 30 percent in cash on his $136 bill. It’s not entirely clear what happens to a rogue cash tip. Meyer has explained under his plan, called “Hospitality Included,” that employees get “revenue shares,” a tip-pooling-like system where the week’s sales are partly distributed among staff.